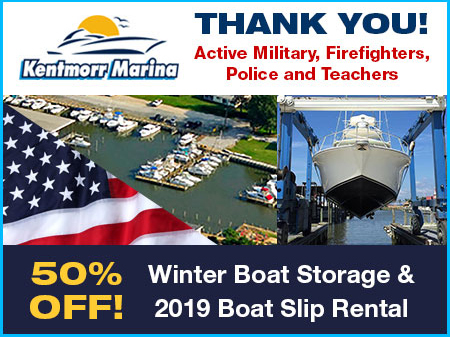 Welcome to Kentmorr Marina, a sport fisherman’s paradise right on the Chesapeake Bay with over 20 charter boat captains on-site during fishing season. Slip holders have easy access to prime fishing spots directly outside our channel, so you save time and fuel. Bring your family and friends to our pristine, sandy beach, and stop by Kent Island’s Best Restaurant with live music and tiki bar for great food and drinks before setting off on the Bay. There’s something for everyone at Kentmorr Marina!